Every winter in Second Life I get the beautiful snowy building bug. 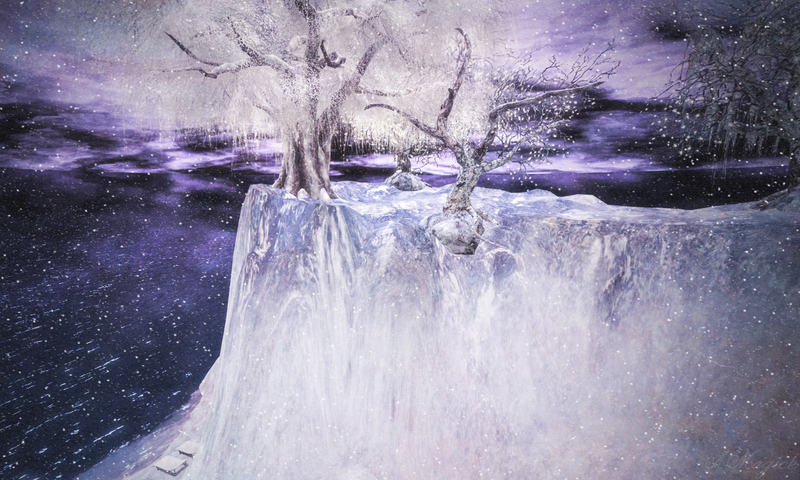 We had so much fun terraforming the sim and it begs for an icy wonderland. There are trees growing where it used to be warm enough with faerie sparkles gleaming…. There are other places with a Narnia magic as well…. If you wish to see this inworld you can TP to my gallery there and cam the rest of the sim.. If you see me there in the nearby list shoot me an IM and I will let you walk the entire sim. These trees are from Happy Moods and New Trails. I don’t think New Trails has an in world store anymore so I have shared the MP. If they have a store in world please let me know but I cannot find them even with a search. Previous Post The Gates of Oria LEA 23 Makes the Destination Guide! !